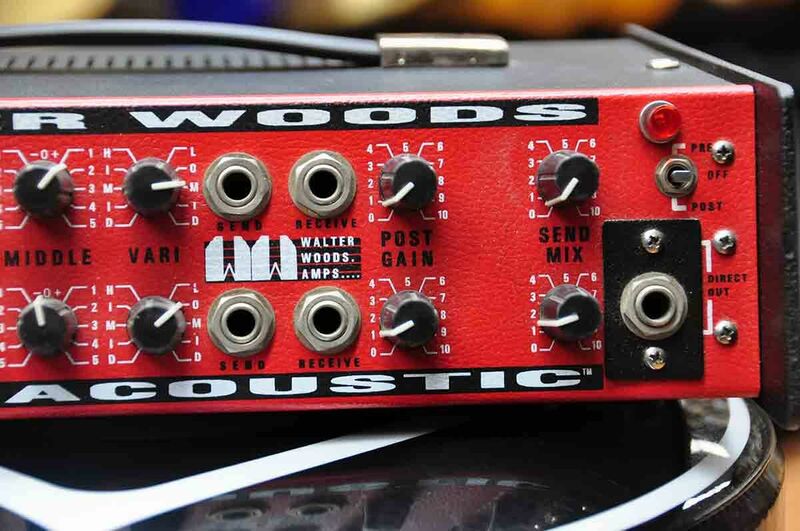 This is a Walter Woods Electracoustic M-100 amp and a legend too. Handmade in Van Nuys, CA, USA back in 1997. Two channels, 100W (that seem to be 500W actually) and a tone to die for. 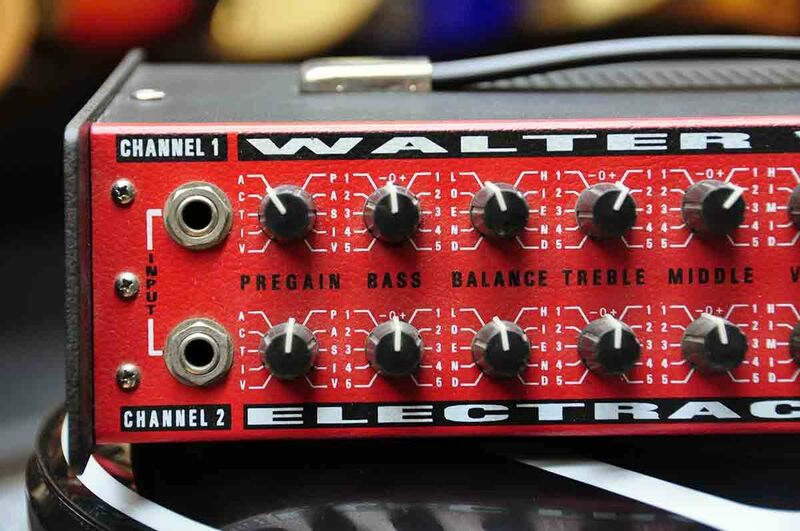 Walter Woods is a true electronics wizard and a pioneer when it comes to ultralight bass heads. If you double on electric and upright, this head is just perfect. You can also take advantage of the twin channel design using just a bass and an A/B pedal to select either channel and set two different sounds (groove/slap, normal/solo, por instance). This unit has been refurbished by Walter Woods himself in 2010 and works beautifully. 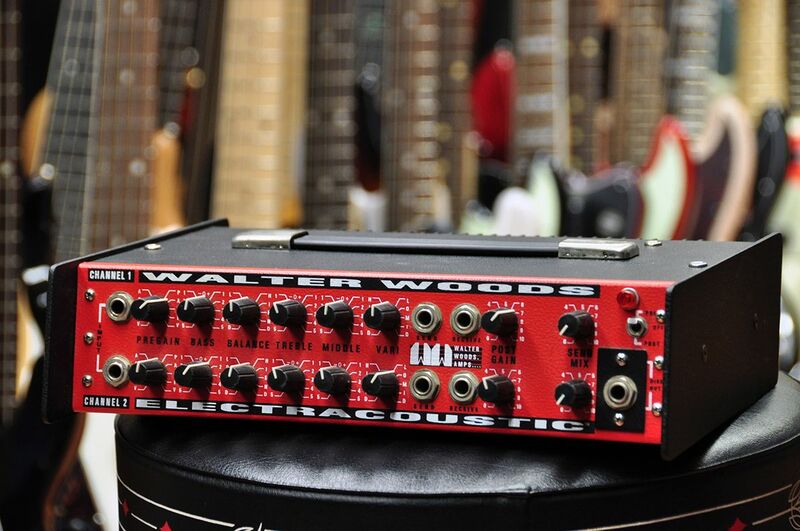 Discover why so many top players swear by their Walter Woods Head. It comes with a 110/220Volt selection switch so you can use it anywhere in the world.